This week and for the second time in less than a month, the average age in the building UNV Headquarters in Bonn dropped significantly, inversely proportional with the rise in levels of energy and enthusiasm. UNV, as part of a series of UN Youth Volunteer training sessions, is hosting groups of young people attending their Assignment Preparation Training. UNV is committed to place learning and development at the centre of UN Youth Volunteer assignments. The Assignment Preparation Training is aimed at equipping UN Youth Volunteers with skills that are fundamental in their work with the UN, in an intercultural environment, and that should pave the way for a meaningful contribution and personal and professional growth during the assignment. For that purpose, UNV also join forces with Action Aid Denmark and their Global Platform as part of a renewed partnership on capacity building and training. While these young people are gathered in Bonn, similar training events are also taking place in Ecuador, Madagascar, Mozambique and Nepal. 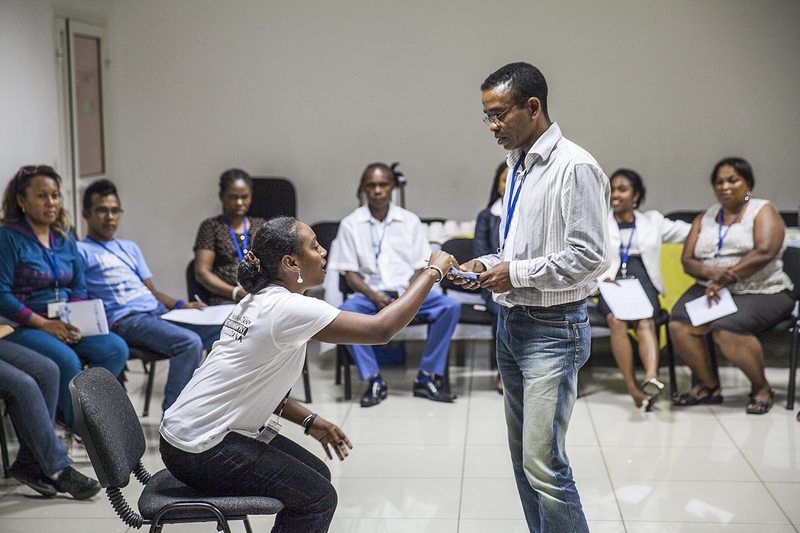 In Madagascar, a group of national UN Youth Volunteers was trained, and recruited by United Nations Development Programme (UNDP) Madagascar, to strengthen services and programmes in the national network of youth centres. UN Youth Volunteers have assignments with UN partners where their motivation, energy and abilities can bring a valuable contribution to the work of the United Nations. In the first quarter of 2015, more than 150 UN Youth Volunteers, national and internationals serving in 48 countries will have been trained in preparation for their assignment which also led to the creation of a global and cross UN Agencies network of peer support. Launched in 2014, the UN Youth Volunteer modality is proving to be an invaluable tool for engaging youth in the work of the UN System, while at the same time supporting them, to maximize their contribution to UN mandate and their personal and professional development through the assignment.